The athletic competitions in Sochi, Russia aren’t over yet. 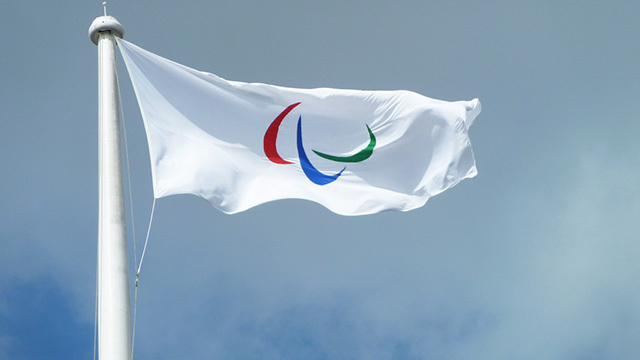 Now that the 2014 Winter Olympics have closed, the time draws near for the sister event, the 2014 Paralympic Winter Games. On March 7-16, athletes will compete in five different events to bring acclaim to themselves, their countries, and their communities. All this and more is run by the International Paralympic Committee, based in Bonn, Germany. This organization conducts education, research, and development focused on people with impairments, and the Paralympic Winter and Summer Games are one of the highlights. The event has grown into one of the world’s largest multi-sport events, backed by a formal cooperation agreement with the International Olympic Committee. So before the action begins in Sochi, we spoke with Natalia Dannenberg-Spreier, digital media manager for the IPC, about how the organization is using social media to showcase the important upcoming Games. The IPC has a thorough plan for social media use — before, during, and after the event. Dannenberg-Spreier explained that the organization’s goals are to promote opportunities for audiences to watch the Paralympic Winter Games, raise awareness about the 2014 event and sports, position the Paralympics as a major international sporting competition of the year, and engage with new audiences. The upcoming 2014 Games in Sochi will also focus on several key messages in social conversations. The first message is about access. “You can watch the Sochi 2014 Paralympic Winter Games from anywhere around the world, via the rights-holding broadcasters or at www.paralympic.org,” she said. The second message is about size. With almost 600 athletes from 44 countries, this will be the biggest Paralympic Winter Games to date. The third highlights the home team’s prowess, as Russia has the potential to sweep the medals table in all sports. Live television and Twitter are a natural match, and the IPC expects to put that bond to work in March. The organization has writers for several events (including ice sledge hockey, and Nordic and alpine skiing) who will live tweet results from dedicated Twitter handles. Dannenberg-Spreier said that despite the time delay between Sochi and other countries, the IPC will cover events on social media in real-time. “In 2012, #Paralympics was the top trending hashtag on Twitter for any sporting event in Great Britain, outranking #Olympics,” she said. “In order for it to have similar success in 2014, all fans are encouraged to get behind the hashtag.” And again, the competitors have a separate hashtag campaign that also helps further their followings and the IPC goals, both on Twitter and Facebook. “Athletes are encouraged to use #ProudParalympian to raise awareness for the Games, establish themselves as ambassadors for change, and stimulate discussions about people with an impairment,” Dannenberg-Spreier said. The IPC also created “Twibbons,” logos to add to profile photos, to offer visual support for the Paralympics or involvement as a Paralympian. Once the event is underway, the IPC has several social programs planned to keep fans engaged with the goings-on in Sochi. Dannenberg-Spreier detailed a “Vote for the Cover Photo” contest for the Facebook Pages of the alpine skiing, Nordic skiing, and ice sledge hockey events. Fans will get to vote on images from an album of the best photos from that day of the competition. The IPC has plenty of activity planned for the main Paralympic Games Page as well, such as a contest for fans to vote for their favorite fun athlete photo taken in the village, and several Q&A sessions with athletes before and during the Games. Video will also play a major role in the social campaign. The IPC will host Google Hangouts featuring Paralympians, and fans can submit questions for them through the Q&A app. After the video chats end, they will be automatically uploaded to the IPC’s YouTube channel. “Athletes themselves are the best placed to communicate our core values of courage, determination, inspiration and equality, and also to inspire and excite the world with their sporting abilities,” Dannenberg-Spreier said. A diverse set of video content helps the competitors to better express those values in their own words. Thanks to a partnership with Samsung, fans will also get to see video blogs directly from the athletes. “Following on from its success at London 2012, the Samsung Paralympic Bloggers project will continue in Sochi, as 30 Paralympians are each given a Samsung Galaxy Note 3 to share their challenges and victories from behind-the-scenes,” Dannenberg-Spreier said. 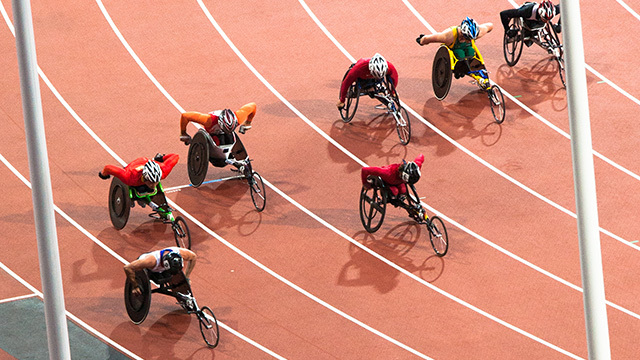 Allowing fans and followers a closer look at the experience of Paralympian athletes is a great way to create a bond and supplement the traditional broadcasts of sporting events. While there will be a spike of social activity on all IPC accounts in March, the organization remains busy and engaged during the off seasons as well. Just like the Olympics, there are summer and winter games, each taking place every four years. “We have a content calendar with themes for most days to bridge the gaps,” explained Dannenberg-Spreier. For four days of the week, the Games have a themed hashtag. From posting athlete playlists on #MusicMonday to featuring images from the IPC archive on #Throwback Thursday, the creation of a regular and reliable social media presence helps to maintain interest even in the between years. This also allows the IPC to focus on its other affiliated programs and events. For example, it shares the results of other sporting events featuring impaired athletes and offers news updates for the broader community of individuals with impairments. And at any time of year, the organization still checks in and shares news about the star Paralympians, which maintains interest among fans on an on-going basis.